We should accept the fact that Obesity doesn’t run in any family, it is because no one runs in that family. What is Obesity Disease? It is just nothing but Overweight. Currently, the world stays at our Finger Tips. Place an order, and the food is at your doorstep. And it’s not just in the case of food. These days, we usually opt to buy everything Online to avoid Time lavishing. But, unknowingly we are encouraging Laziness. Also, Dig Dig our Graves with our own Knife & Fork. Modern marvels are making human life more sedentary and health a distant concept. Obesity is a condition where the person has assimilated extra fat which is harmful to their body. In today’s world almost 68% of adults come under the overweight and obesity. Child Obesity is also a most prevailing one. 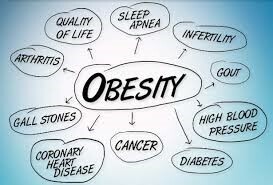 Therefore, know intact Facts or information about Obesity disease and the Concept of Obesity Management. Also, ask yourself a Question. Am i Obese? To know about that, we should calculate BMI. There are lot many causes for Obesity. Among them, the prominent one is the Lifestyle we follow. Along with that, the food conditions also shares a Position in the reasons that cause obesity. All the Obese People mainly come into these two categories. Lack of regular Exercise may increase the Risk of Obesity. Therefore, learn all the root for Obesity. Energy balance is the simple equation of amount of Energy IN is equal to the amount of Energy OUT. A deficiency in this equation causes an imbalance which leads to overweight and obesity. Energy IN is the energy or calories your body receives when you eat food or drink something. Energy OUT comprises of an amount of energy used for activities like breathing, digesting or being physically active. Balancing energy IN and OUT is an important way to maintain a healthy weight.Though it is not necessary to balance it out exactly every day. It’s the balance over the extended period which helps in the maintenance of a healthy body. Over the time if the same amount of Energy IN and Energy OUT is going the same, then weight remains constant. Energy IN is more than Energy OUT over time; then weight gain takes place. Energy IN decreases over time than energy OUT, then the Process of weight loss takes place. Thus obesity happens over time when calorie intake is more than it is used. 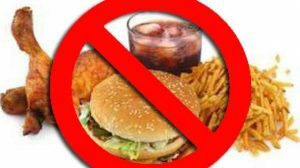 The inactive lifestyle has propagated many lifestyle diseases. Obesity come under that category. People like to spend hours in front of TV’s and computers while doing school work and leisure activities. Many Journals have published that more than 2 hours a day of regular TV viewing is associated with obesity and overweight. There are many other reasons for being so Desk-bound in lifestyles. Using cars even for short distances is not so cool. Reduced physical involvement at work or home because of modern technologies and lack of physical education awareness in the mass are also the reason. Inactive people tend to accumulate fat more easily as they are less involved in calorie burning process. This inactive lifestyle puts the person on the risk for High Blood Pressure, Coronary Heart Disease, Diabetes, Colon Cancer and other health related problems. Inactive people tend to accumulate fat more easily as they are less involved in calorie burning process. This inactive lifestyle puts the person on the risk for High Blood Pressure, Coronary Heart Disease, Diabetes, Colon Cancer and other health related problems. Inactive people tend to accumulate fat more easily as they are less involved in calorie burning process. This inactive lifestyle puts the person on the risk for High Blood Pressure, Coronary Heart Disease, Diabetes, Colon Cancer and other health related problems. Current climatic condition supports obesity and doesn’t support a healthy lifestyle. Lack of sidewalks in the neighborhoods and no recreation areas made our lives more prone to this deadliest disease. Not having parks, trails, sidewalks and affordable gyms makes it hard to maintain physical activity. 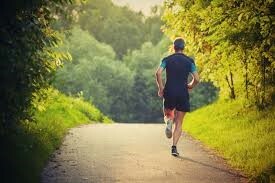 Because of long hectic work schedules and long commutes, people are unable to put an effort in other physical activity. Oversized food portions..!! These huge food portions are all thanks to restaurants, fast food, gas stations and movie theaters. Supermarkets and now even at home the same problems is prevalent. The single meal can feed two or more than two people. Eating this significant amount of food means too much of energy IN. If physical activities are not compensating this, then it will cause obesity. Lack of healthy foods availability is the other reason. Its availability can be regarding market unavailability or inability of the buyer to buy it. Healthy foods are less available compared to other junk food, and they are costly as well. 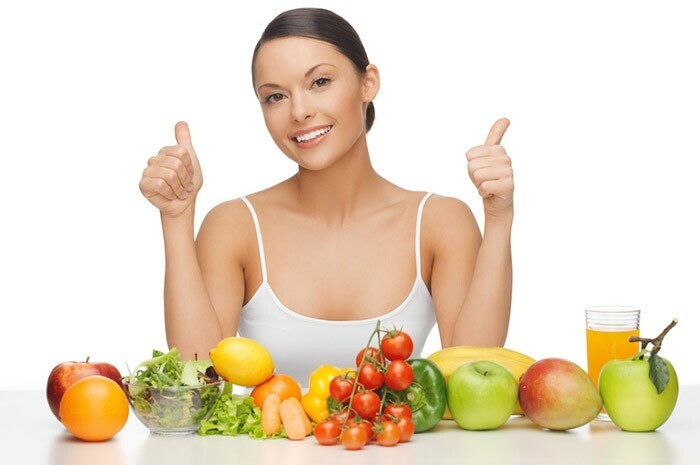 Many of the restraining factors cause the person not to avail the healthy choice. Many individuals who can afford but their unhealthy lifestyle have developed their palates for junks rather than fruits and vegetables. The media these days had us all into sugary drinks, deep fried yummy stuff against the dull, monotonous healthy foods available. The primary goal of these ads is to sell their Products but they are high-calorie food. There are many studies conducted to found out the genetic relationship to obesity and overweight. A study of the identical twin has shown that genes do have an important role to play. Chances of putting extra skin are greater if one or both of the parents are overweight or obese. Genes do play a significant role in determining the storage of the body fat. They also decide where this extra body fat goes. Since the family shares the same physical activity habits and food, a link is established between environment and genes. Children adopt habits of their parents as well. Overweight, overeating parents who are inactive in all their physical deeds will influence their child in the same way. It might be in the genes to get perverse to such bad habits easily, but if one can change it to healthy way, then it can be controlled as well. 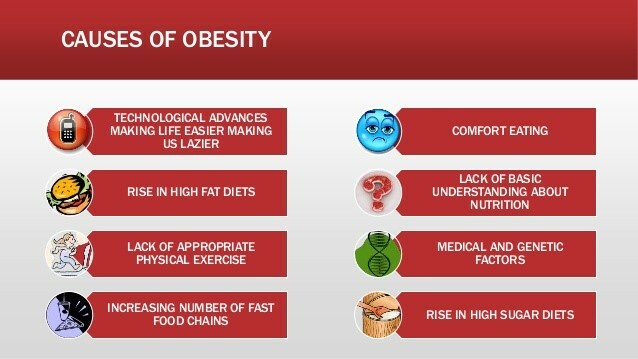 There are many underlying health conditions which cause obesity. Underactive thyroid (hypothyroidism), Cushing’s Syndrome and Polycystic ovarian syndrome (PCOS). Hypothyroidism is the condition where the part in the body where thyroid hormone is made is not making it enough. It Results in slowing down the metabolism of the body and causes weight to gain. It will lead to weakness and tiredness. Cushing syndrome is the condition where the body produces cortisol in excess. This hormone causes fluids to deposit in the body and increases the weight. This condition develops due to high doses of certain medications for long durations such as prednisone. PCOS affects a small population of women of childbearing age. Women with such condition present excessive hair growth, reproductive problems, and obesity. There are certain medications which make you gain weight. They are corticosteroids, antidepressants and seizure medications. These drugs reduce the body metabolism, increases the appetite and consumption of more water. All these factors help in adding weight. Some people when emotionally hurt, bored, stressed or angry tend to eat more than usual. It’s just an Excuse where we allow ourselves to have some more food. Over time, this will lead to obesity or weight gain. Most of the people gain weight after quitting their smoking habit. The reason being this is food tastes and smells better after quitting. Nicotine increases the rate at which body burns calories. So, stopping decreases the rate and causes increases in weight. Since smoking is a health risk, quitting is more important than weight gain risk. When we grew older, the body start losing muscle, and this will be rapid if physical activity is less. Muscle loss decreases the rate at which body burns calories. If the calorie intake is not reduced in older age, then there will be weight gain. Midlife weight gain in women is mostly lifestyle and aging-associated. Menopause also plays an important role in women. CDC Childhood Obesity is not a small issue today. Childhood Obesity rates are also in surplus level. 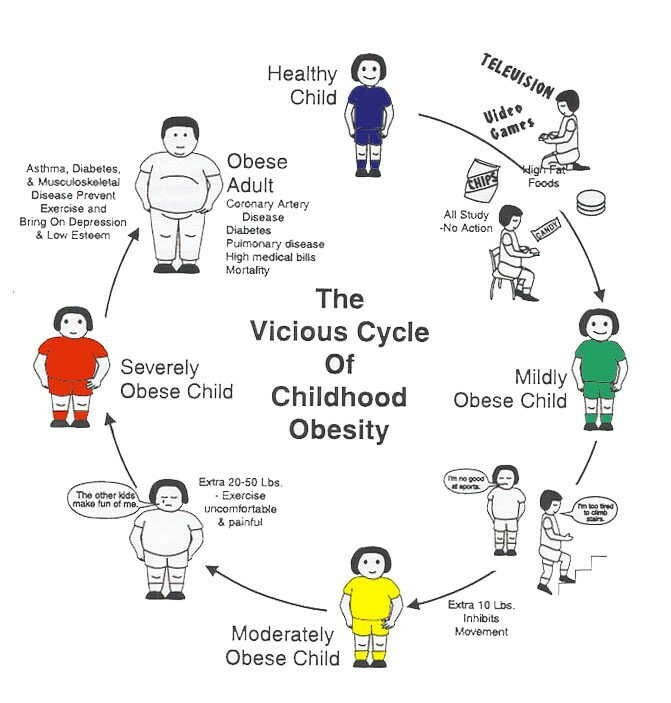 In most of the Childhood Obesity articles, we can find better information on obesity like What is Childhood obesity, Childhood Obesity Causes, effects of Childhood Obesity, Preventing Childhood Obesity and other info like Statistics on childhood obesity. So, we can follow them learn how to prevent it and make the Children life more colorful. It is not overweight or obese, as women do gain weight to support their babies growth and development. After the delivery, it does become hard to lose extra weight by some women. It may cause obesity in them. Sleep plays an essential role in maintaining the weight of the body. Sleep balances hormones namely ghrelin (feel hungry) and leptin (full). Lack of sleep causes ghrelin to release more which causes to eat all the highly calorific diets. Sleep also reacts to blood sugar level in the body, lack of which spikes its level in the blood. It may increase the risk of diabetes as well. Breathing disorders such as sleep apnea, chronic obstructive pulmonary disease. Cancer of certain types such as prostate cancer and bowel cancer in men. In women conditions associated are Breast and Uterine cancer. Depression. One of the lifestyles diseases. Liver diseases also denote the same picture. Gall bladder diseases as well. Joint diseases such as that of osteoarthritis. People presenting the symptoms of medical conditions mentioned above may fall under the category of obese. High blood pressure, high cholesterol levels, breathing problems and all the knee shoulder joint pain are common. More the person is gaining weight more the person is likely to have the medical condition. Apart from the medical condition, there are many psychosocial conditions which are associated with the obese person. Low self-esteem, discrimination, difficulty searching employment and reduced life quality are the outcomes. Low self-confidence and feeling isolated in the society. Making amendments in our daily habits and switching to a healthy lifestyle will prevent obesity or overweight. Lifestyle habits start building during childhood days. Parents should start building positive lifestyle habits from the very beginning of the child’s growth. Encourage the child to adapt healthy diet, make healthy choices and be physically active. 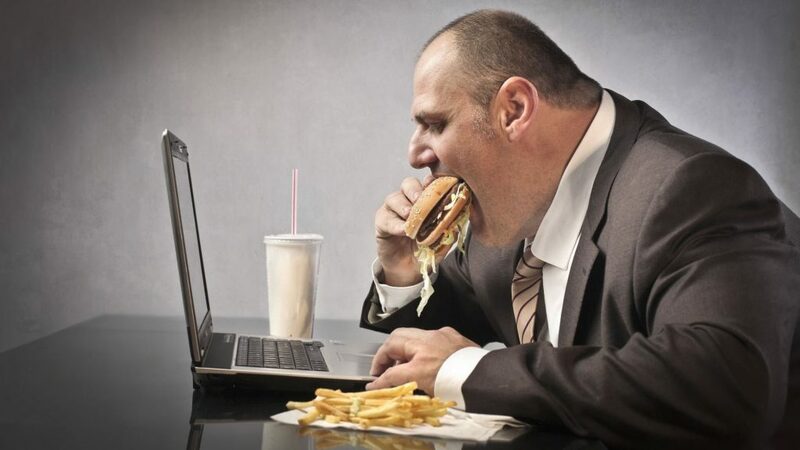 Among most obese countries, Obesity in America Rates more due to their sedentary Lifestyle. Also, Obesity in America is because of their Food habits too. Following a healthy Diet plan. Keep a check on IN and OUT of the Energy. 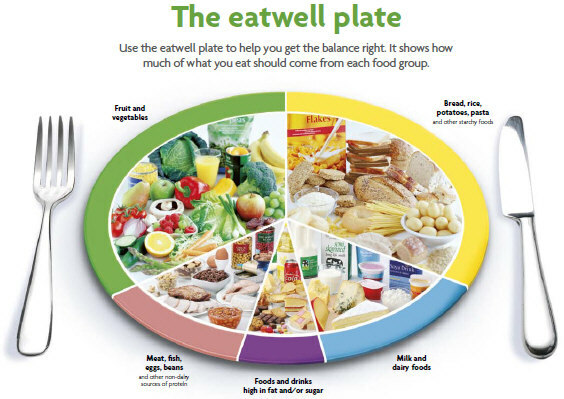 Make choices which are healthy and manage your calorie needs carefully. Watch the portion size cautiously. Portion size served in restaurants, and fast food joints are more than sufficient for 2 or more persons. Don’t let the same pattern be followed at your home. Since that amount of calorie intake for a single person is way too much. Children’s portion size should be smaller than adults. Always be active. Make the personal and family time positive and enjoyable. Find a chance to go for a brisk walk, biking or train together in the gym. Limit or reduce the screen time that is TV exposure, laptop usage. Video games should be avoided instead real physical activities should be done. Health experts suggest less than 2 hours a day of screen time. Always keep your health indicators updated. Check your waist, weight and body mass index to get a clear idea about your health status. Stress is one of the silent factors. We just neglect by many but is a fundamental element in causing obesity. Stress causes other elements to enhance their working thereby decreasing one’s ability to make healthy choices. The person ends up making bad choices in food and sleep is the only comfort it seeks. Stress reduction is one of the major factors to cope up with this silent obesity problem. Indulge in at least 30 minutes of physical activity daily. It can be jogging, walking, swimming or weight lifting anything. Just break the body’s habit of being a couch potato. Are you in the List of Obese People ? Obesity help is generally to make better the Obese people Condition Better. Dietary changes regime is same as usual; that is an indulgence of healthy foods. Since weight loss initially is a very fast process. But losing it in long term or slowly is a healthy process. We should avoid believing on Crash diets. It always worsens the health condition of individual who were into such diet. Exercise and activity are always welcome. Shedding extra calories and moving body makes one active and feel good. It also wears away the possibilities of those systemic diseases associated with obesity. 30 minutes a day is sufficient or a total of 150 minutes a week. 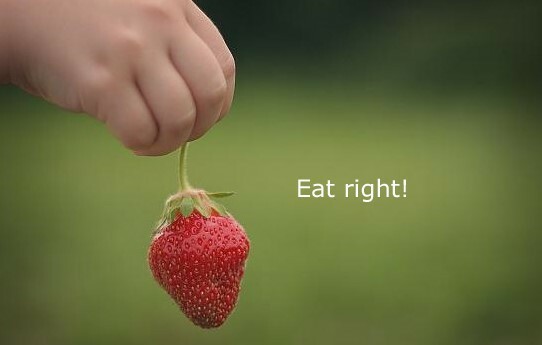 Behaviour modifications can help you choosing right food, healthy choices. These Modifications happen only by simple counseling or being in support groups. Prescription weight loss medicine is although not preferable if all fails then one should go for it. Losing the weight, we can stay healthy, safe and assured. Drugs do come with side effects and taking it for the long term will leave some effects. Weight loss surgeries are for the people who are extremely obese or morbidly obese. Here the movement from the individual is impossible. Surgery is just to reduce the load so that individual mobiles enough to perform physical activity. Weight loss medicines on prescriptions. Being overweight is a choice, yes, it is a choice and a bad one. The comfort of the modern lifestyle has made us incapable. No one in this fast life finds time for themselves. Everybody indulges in the sedentary way of life. The bad habits of lifestyle have got hold of our mind so hard that it becomes inescapable sometimes. But this is not an irreversible process. All one has to do simply start inculcating themselves and their family members with health habits. Eat healthily, Stay active and also explore more and Know the benefits of being fit.